The search for Miss Earth Philippines always brings joy to me. This is the time I get to know Filipinas who are beautiful, young and environmental advocates from all over the country and those living abroad. 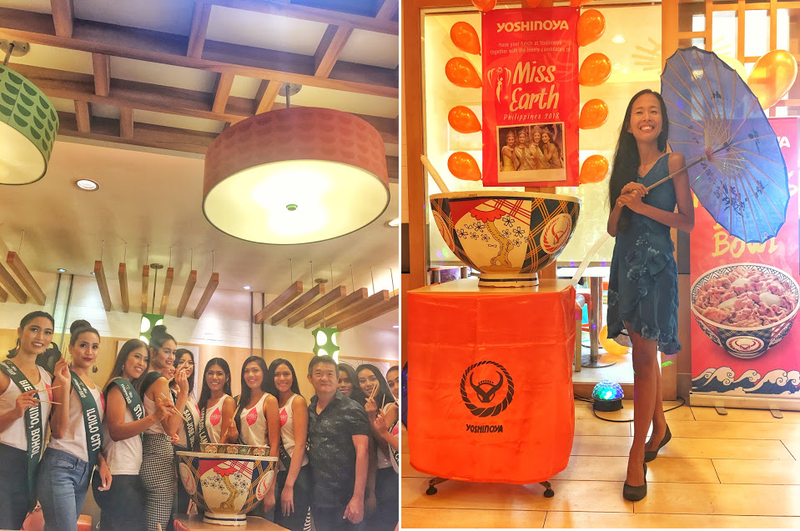 One more reason why I look forward to this season is joining Yoshinoya Philippines to an afternoon of fun with contestants of Miss Earth Philippines. 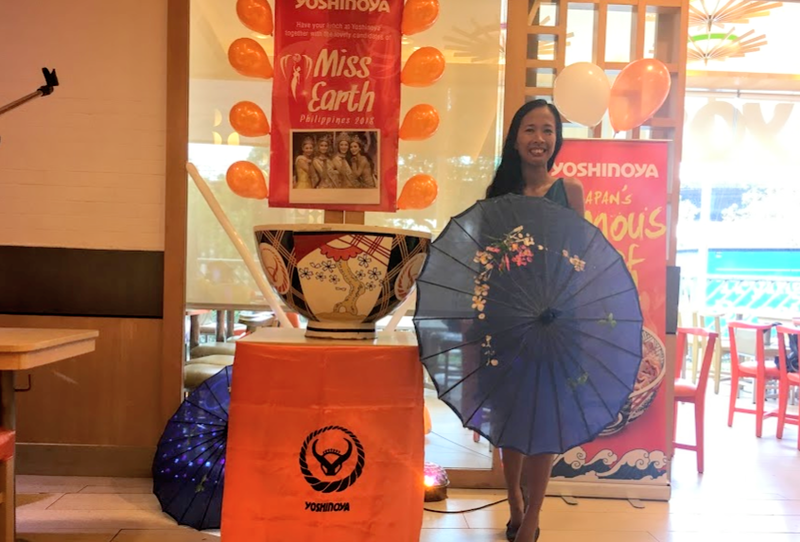 Divided into small groups, these contestants visit selected branches of Yoshinoya Philippines where they get to introduce themselves and most of all, share her particular “fight” in terms of environment protection. 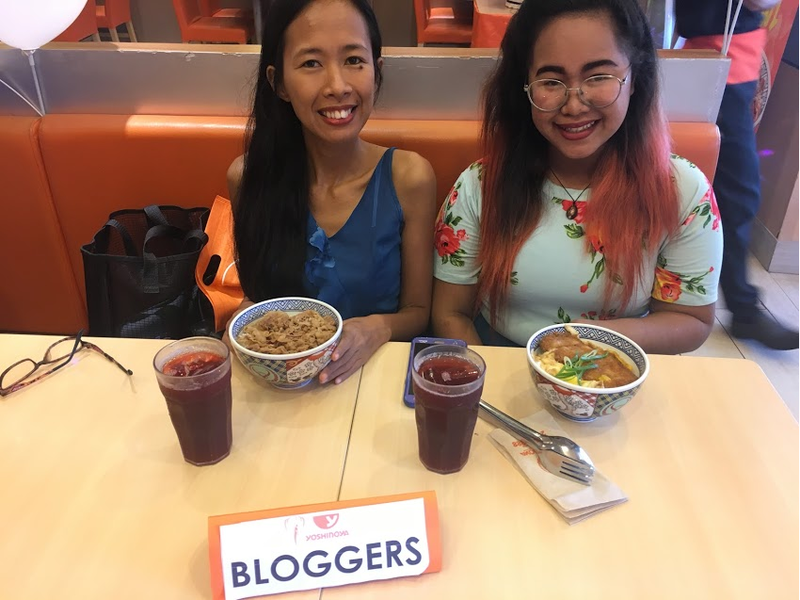 Yoshinoya Philippines is a chain of budget Japanese restaurants serving cuisine based in Japan. Held at SM Megamall, I arrived with my sister who is super excited to have her picture with any of these lovely Miss Earth Philippine contestants no matter what! 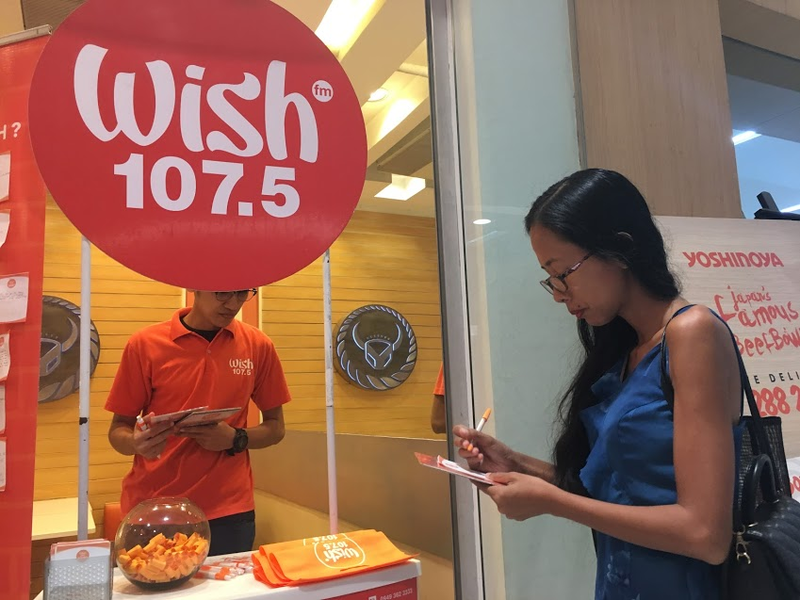 At the main entrance, we were greeted by folks from Wish 107.5 who were so nice to let us offer our simple wishes. Writing your small requests on a piece of paper may mean nothing but Wish 107.5 actually grants wishes! If your wish is picked and they can afford it, they will give it to you. They have a radio show for that. Sorry, I don’t know the name but you can certainly search for that. The next thing I knew is we were served with delicious Yoshinoya meals. 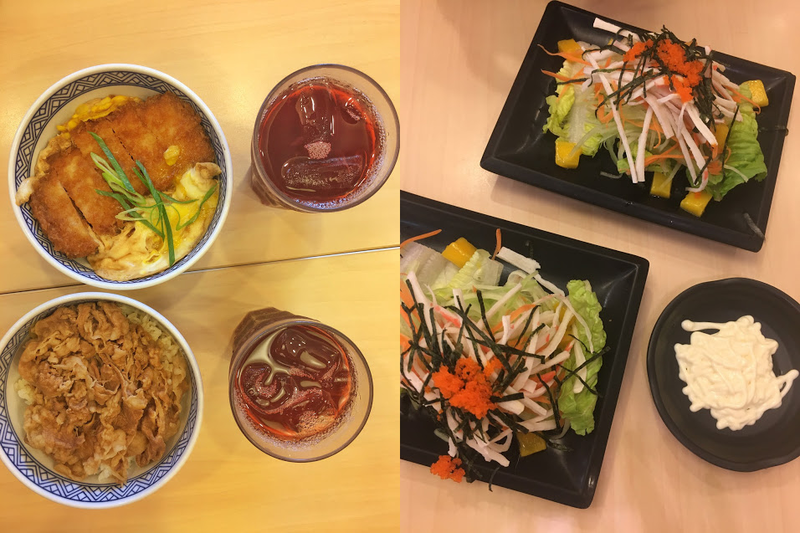 I so love this budget Japanese restaurant in Manila because of their rice bowls and I’m a fan of hot bowl of miso soup. When the Miss Earth Philippine candidates of 2018 came, everyone stopped eating. They were assisted by young kids wearing Yoshinoya attire (they underwent summer class under the Yoshinoya management and were taught about the basics of working in the kitchen and serving guests). They were super adorable while they gave flowers (some stole a kiss/hug) to the candidates. The 2018 Miss Earth Philippine Candidates who joined us represented the following: Iloilo, Bohol, Lanao del Norte, Zamboanga Sibugay, Tagum City, Italy, Santa Cruz, Davao, Mariveles, Bataan and San Jose Del Monte. We were also given a chance to vote for the darling of the crowd. I chose Miss Italy because of not only her charm but her advocacy. She was pronounced as the overall winner. Who would have known that fast forward to the grand coronation, she will be crowned as the Philippines official representative to Miss Earth contest? This year, the pressure I think is much bigger because we are all hoping for a back-to-back win after Angelia Ong, the country’s representative last year grabbed the title among the other contestants from around the world. This is actually my second time and hopefully I will be able to meet in person some of the next batch of Miss Earth Philippines 2019. And oh, I am enjoying every meal of Yoshinoya!